A couples wedding day is one of the most important days in their life. It is a happy occasion where you are joined by your closest family and friends where memories are made and experiences shared. What better way to record these memoirs by asking your guests to indulge in a task that will create a fabulous keepsake that you can look back on for years to come. 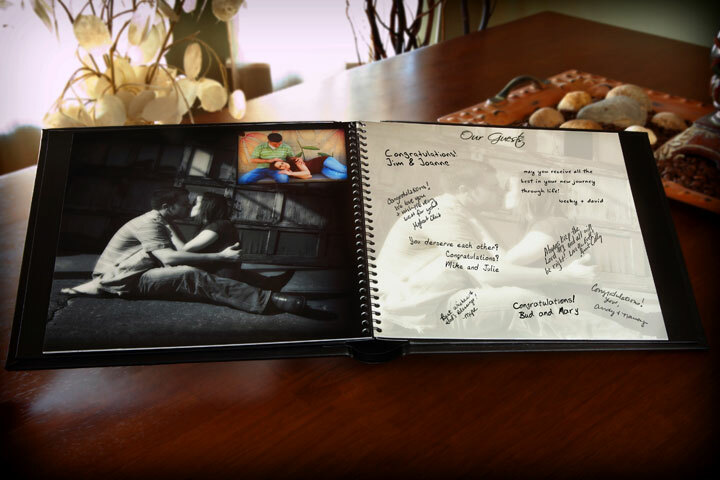 Alternates to the traditional wedding guestbook are popping up everywhere as people become more creative and personal with their weddings. Messages need no longer be stored in a book after all books tend to get put into drawers or hidden away on bookcases! Here are some of our favorites! 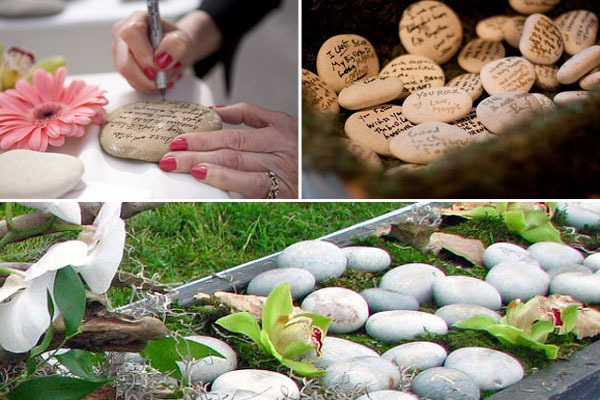 We love this idea—guests write their messages on individual stones, and then you can arrange them in a basin. They'd make a beautiful and touching addition to a garden. 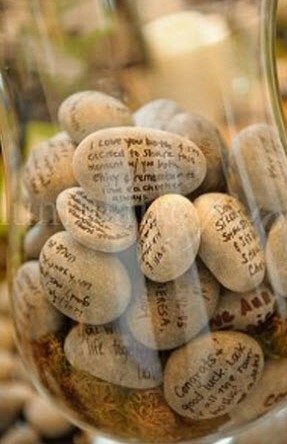 Post-wedding, spray the rocks with clear acrylic gloss to keep the messages from fading or washing away! Let’s get the map out! If you are a couple that have spent a lot of time travelling and have family and friends in all different parts of the world this idea of incorporating geographical messages into your wedding is unbelievably different. 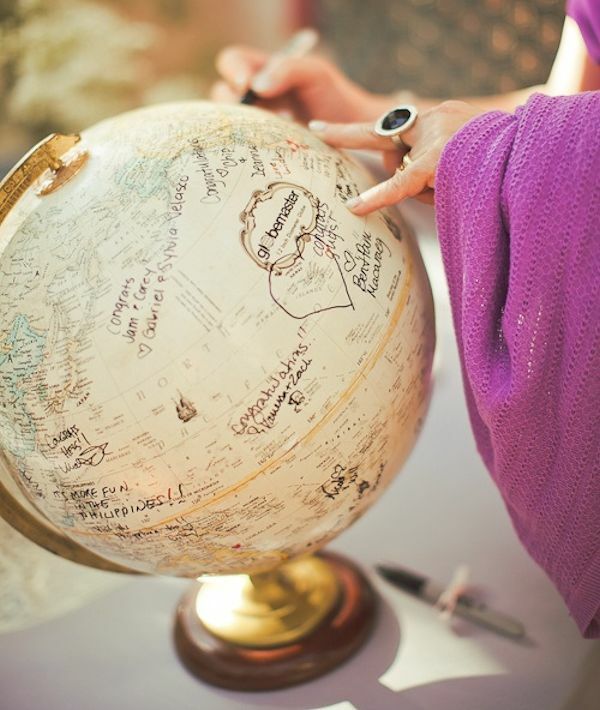 Take a large globe of map of the world and let your guests write small messages to where they are from. Not only is it completely distinctive, it will give guests the chance to have some fun and could also create great rapport amongst guests almost as if it’s a game! A piece of your wedding that will be going straight to the framers post event that would look idyllic in a kitchen, dining room or hallway for years to come. 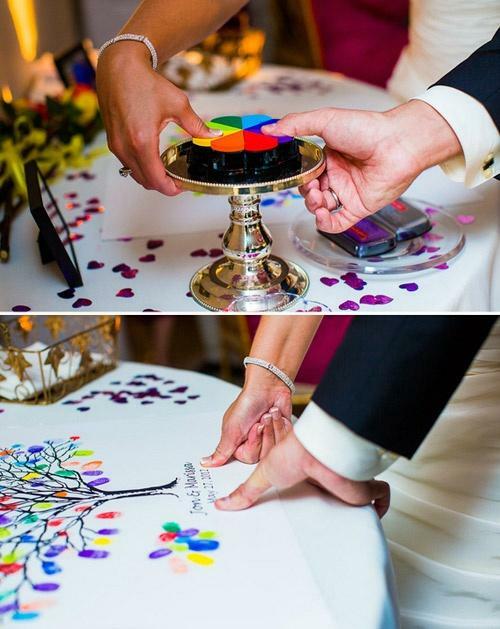 Provide your guests with particular colored paints, perhaps to match the theme of your wedding and get them to place a thumb or finger print on the branch of the tree and have them sign their name. This may not present you with long messages from your guests which some people feel clueless as what to write anyway but it does detail who was their on the day. Matching wedding theme or wedding couple! 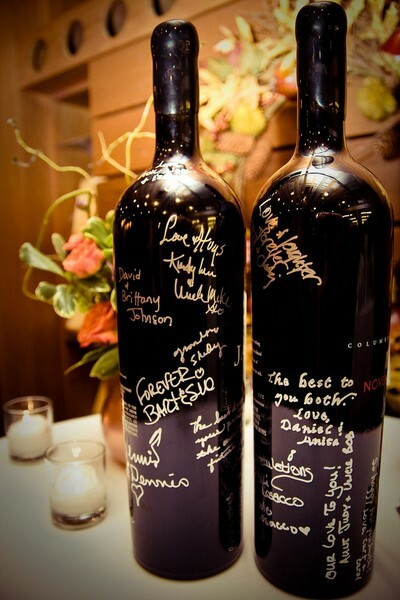 Writing on wine bottles is a perfect idea for the couple’s who are particularly fond of a glass of wine, plus it makes a lovely keep sake to perhaps open on future anniversaries. This stunning idea instantly becomes décor for your reception room. 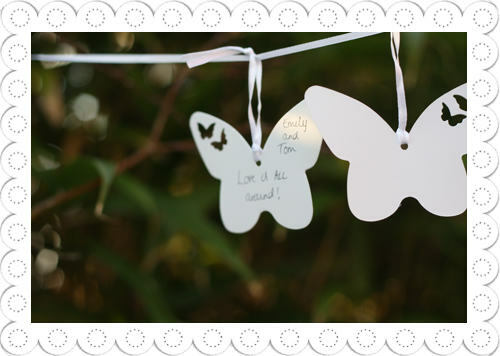 Guests write their wish on the card and then hang it on the branches. 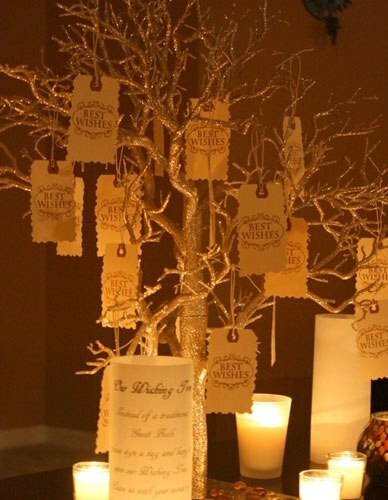 We think the wish tree looks fabulous, elegant and there’s something exceptional about people making wishes for you in your future together as a married couple. Obviously you won’t be keeping the tree forever so then you could choose how to display these keepsakes yourself afterwards. 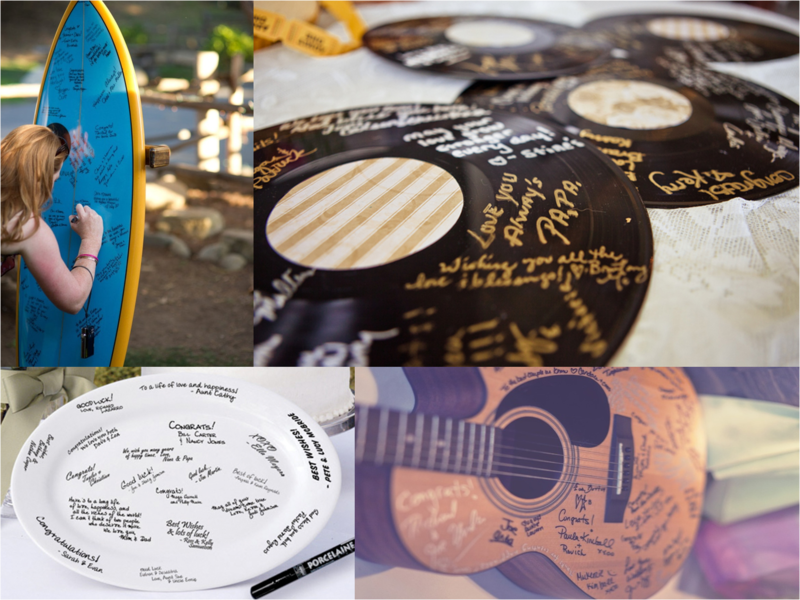 This is obviously just a small sample of alternative guest books, the possibilities are endless for things you can get guests to sign! Keep reading! Cheers!